The CAT-200 automatically inspects for pollutants inside paper cups. It also detects flaws in the shape of the paper cups using cameras and sensors. This vision system distinguishes and automatically separates defective cups moving on a high speed conveyor. 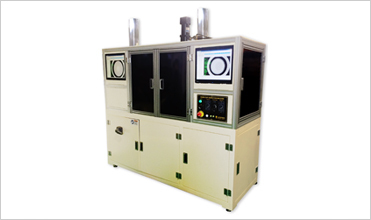 This automatic equipment can relieve fatigue and human error during the inspection process. • Production Speed: Max. 160 cups per min.